lsochronic tones are created in a completely different way to Binaural Beats. Instead of two different tones being combined together, just a single repeating tone is used. The beat is created by turning the tone on and off at regular intervals. This is also referred to as Amplitude Entrainment. As you can see from diagram below, Isochronic Tones are significantly more obvious and stronger. The resulting entrainment effect is much more powerful than Binaural Beats. Brainwave entrainment can be mixed with normal music and white noise very effectively, which can really enhance the user experience and make the beats more pleasant and relaxing to to listen to. The image below shows an Isochronic Tone that has been mixed with music. Although the individual pulses are not separated as clearly, the resulting entrainment effect is still very effective on the brain. 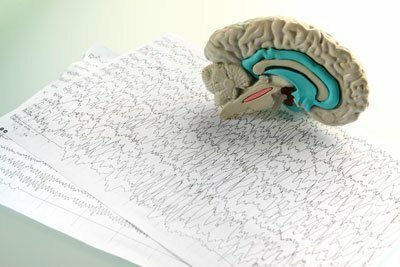 Your brain continually produces electrical activity, even when you are asleep. Neurologists found that this activity can be recorded in the form of brainwave patterns, also known as ‘brainwaves'. Many scientific studies have shown that the brainwave activity in the brain can be influenced and corrected when it is stimulated with specific beats and tones. This process is known as ‘Brainwave Entrainment', and can be extremely effective when used correctly. The Theta brainwave state ranges between 4 – 8 Hz, and is usually experienced during light sleep or extreme relaxation. With practice and experience, it is possible to reach the Theta state through meditation, but you can speed up this process with Mind Amend's brain entrainment programs. Through the advancement of neurological research, we are now able to accurately identify what frequency ranges our brainwaves are in, during certain mental states. Gamma 40+ Hz is experienced during extreme alertness, high energy and times of intense focus. Beta' 12hz – 40hz, is the most common mental state for most of us when we are awake during the day. The ‘Alpha' range is between 8hz – 12hz, and in this state we are awake but relaxed, and not processing much information. During light sleep or deep relaxation we are usually in between the 4hz to 8hz range. Also known as ‘Theta'. When we are in a deep sleep, our brainwave frequency is usually very low, between 0 hz to 4hz which is also referred to as ‘Delta'. With this knowledge and more in depth research, we are now able to develop brainwave entrainment programs, to match the frequency range of our desired mental state, and produce brainwave synchronization. The Alpha range is between 8hz – 12hz, and in this state we are awake but relaxed and not processing much information. The Alpha state is a very calming and enjoyable state of consciousness to be in. It's where you want to be if you are feeling stressed and anxious. This can be effortlessly achieved with our range of Alpha entrainment programs. http://www.mindamend.com/wp-content/uploads/2015/10/logo.png 0 0 Jason Lewis http://www.mindamend.com/wp-content/uploads/2015/10/logo.png Jason Lewis2013-05-04 15:11:542017-10-19 07:14:25What Do Alpha Waves Do?